“People are disappearing in the city.” Recently, Adult Swim announced their new TV show Hot Streets will debut in January. 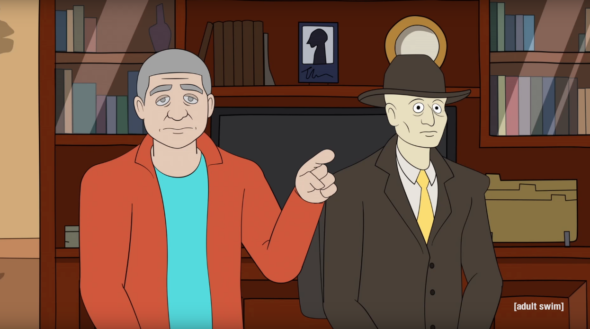 Hot Streets premieres on Adult Swim on January 14th at 12 a.m. ET/PT. Adult Swim announces the premiere of its new animated series, Hot Streets, premiering Sunday, January 14th at Midnight ET/PT, featuring two new episodes each week. From the creators of Robot Chicken and Rick and Morty, Hot Streets centers around FBI Agent Mark Branski, his partner, his niece, and her dog, who investigate supernatural phenomena. The quarter-hour animated science fiction adventure series is created by Brian Wysol (Rick and Morty, Robot Chicken) and produced by Stoopid Buddy Stoodios. Seth Green, Matt Senreich, John Harvatine IV, and Eric Towner (Robot Chicken), Justin Roiland (Rick and Morty) and Wysol all serve as executive producers. What do you think? Do you watch Adult Swim? Will you check out Hot Streets? More about: Adult Swim TV shows: canceled or renewed?, Hot Streets, Hot Streets: canceled or renewed? Brian Wysol isn’t the creator of robot chicken or rick and morty, but a staff writer on those shows.